Democratic gubernatorial candidates (from left) Chris King, Andrew Gillum, Gwen Graham, Jeff Greene, and Philip Levine wrap up their town hall at Jacksonville University Thursday. 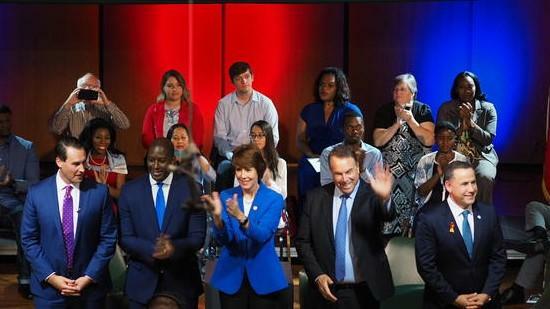 The five Democrats running to become Florida’s next governor stuck to their talking points and had no chance to clash in a low-key town hall Thursday in Jacksonville. The forum — which took place as much of the city was tuned into the Jacksonville Jaguars preseason home game against the New Orleans Saints — featured 10-minute, one-on-one segments between the candidates and the moderator that covered a broad range of topics and prevented them from trading barbs like the Republican candidates, U.S. Rep. Ron DeSantis and Agriculture Commissioner Adam Putnam, did in a testy debate Wednesday. The format allowed the Democrats to play up their campaign themes. The progressive: Tallahassee Mayor Andrew Gillum. The businessmen: Jeff Greene, Philip Levine and Chris King. 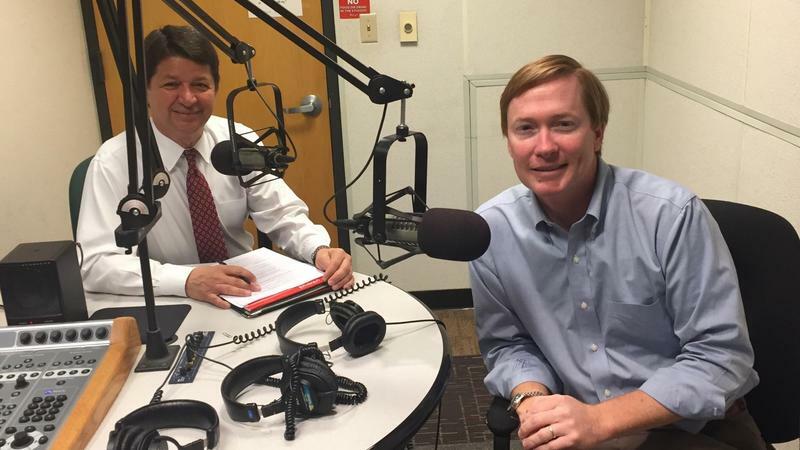 The pragmatist: Gwen Graham. It’s less clear if the night produced a moment that could change the trajectory of the race, with polls showing Graham pulling ahead of the pack. None of the candidates can stand President Donald Trump — Greene said he was “ashamed” of him — and by and large they agreed the Republican-dominated state government has ill-served public school children, environmental interests and the working class. Each one sought to position themselves as the best positioned to take on a Legislature that is still likely to be controlled by the GOP. Levine leveraged his two terms as the mayor of Miami Beach, where he pushed policies — some which were controversial or never took effect because of legal challenges — favored by progressives, including a plan to tackle climate change and raise the minimum wage to $10.10. He promised to take that mindset to a state level. “In South Florida they’ve seen what I’ve done,” he said. Greene — a billionaire, the wealthiest man in the race — vowed to put his own money on the line to tackle the Republican Party. He has clashed recently with Graham over her family’s company and his investments, but Thursday he didn’t bring up the spat. “I’m ready to tackle these problems better than anyone else in this race,” he said. Graham, a former congresswoman, noted that she was the only candidate among the Democrats to win a competitive election, unseating a Republican in 2014. She defended her two years in Congress — she didn’t run again when her district was redrawn in 2015 — when she sometimes staked out positions that differed with Democratic Party leadership, like voting for allowing a controversial oil pipeline project to proceed. She said she refused to vote based on party politics. “We could elect robots to Congress and save a lot of money if that’s what we want to do,” she said. He’s backed by U.S. Sen. Bernie Sanders and wants to see Medicare for all, a progressive dream policy. He wouldn’t say directly under questioning from the moderator if he considered himself a capitalist or a socialist. He rejected the importance of such labels. Chris King, a Winter Park affordable housing developer who has never held public office or run for one, called for fresh faces in politics with the political courage to change Tallahassee. 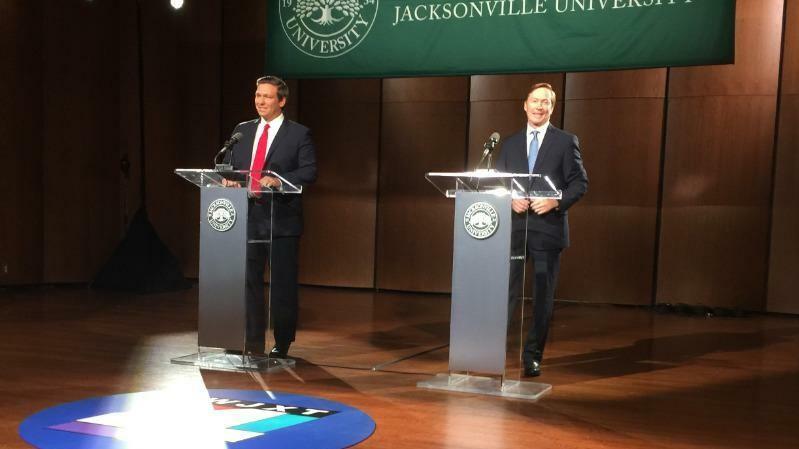 The town hall was hosted by Jacksonville University and WJXT-4. The primary is Aug. 28. Some Floridians have already cast mail-in ballots. This story is from our partner The Florida Times-Union. 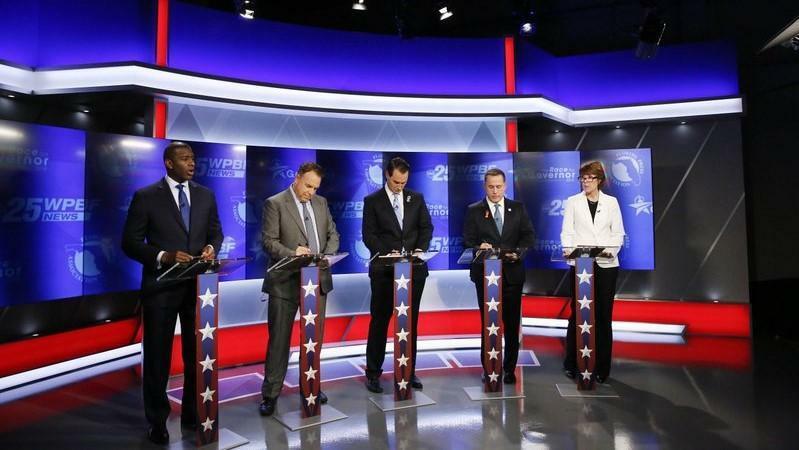 Entering the final three weeks before the Aug. 28 primary election, the Democratic gubernatorial candidates will take part in a Town Hall Thursday night at 8 p.m. at Jacksonville University.